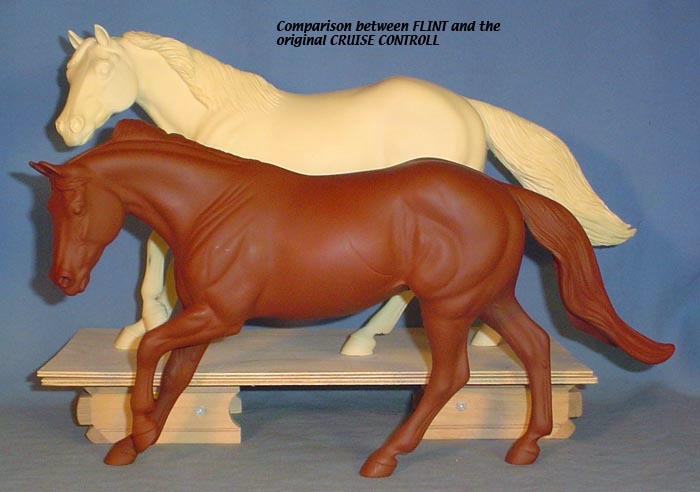 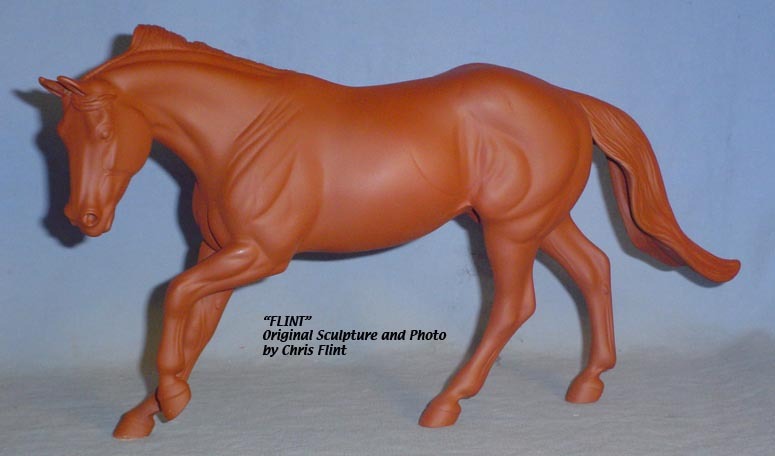 FLINT is 1/9th scale and is in the same position as the original Cruise Controll, but the similarites end there. 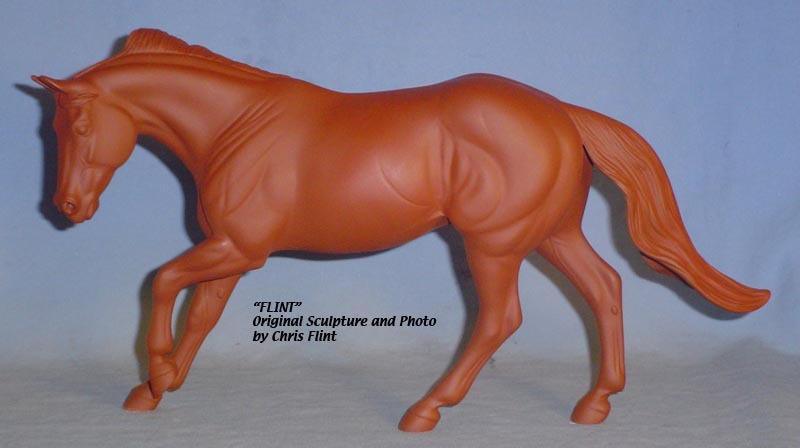 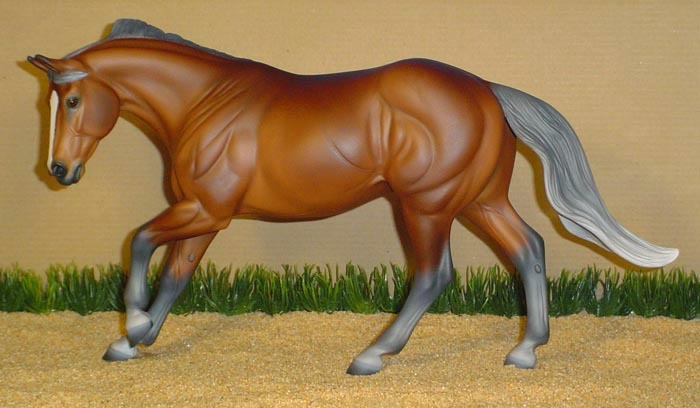 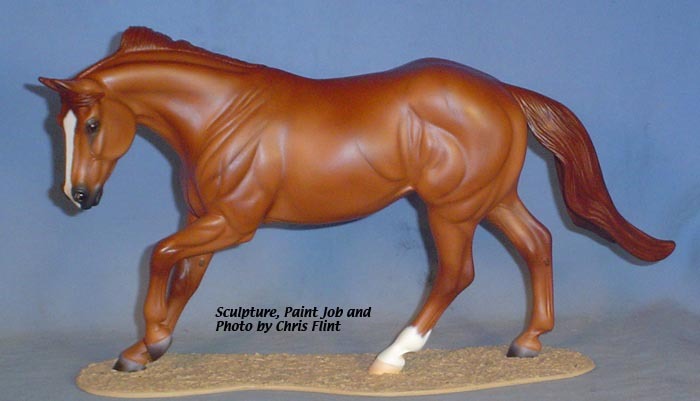 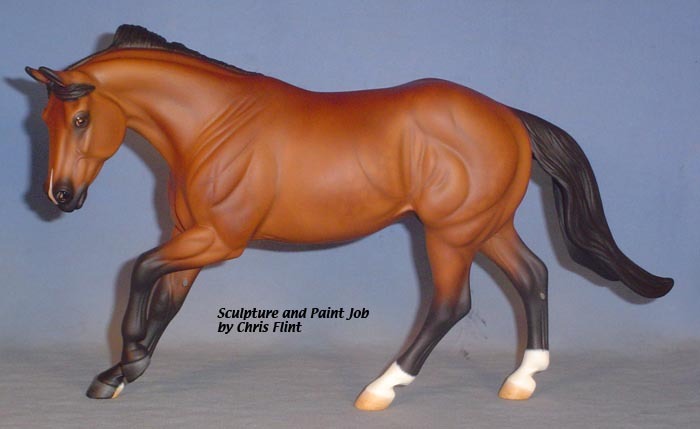 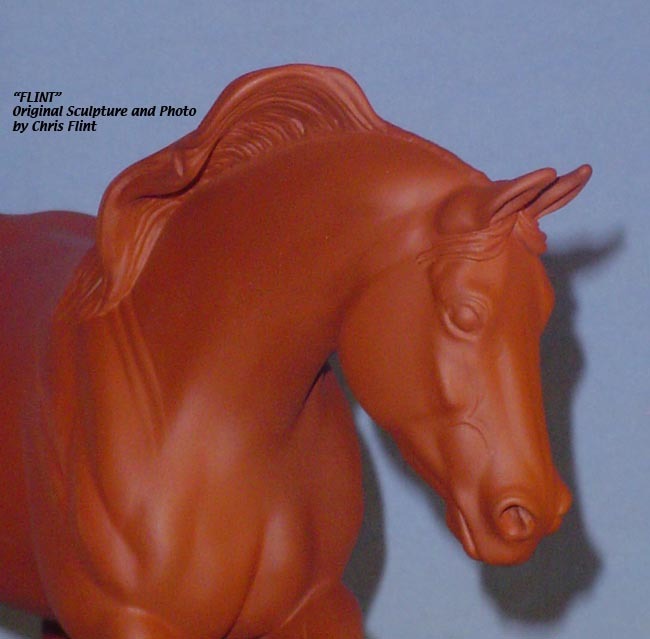 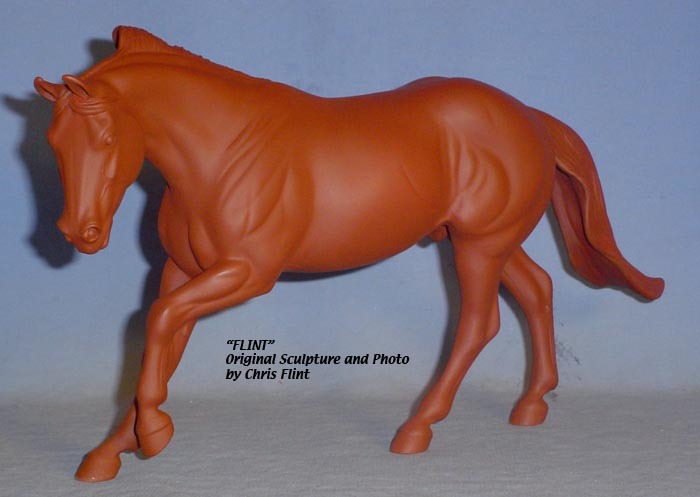 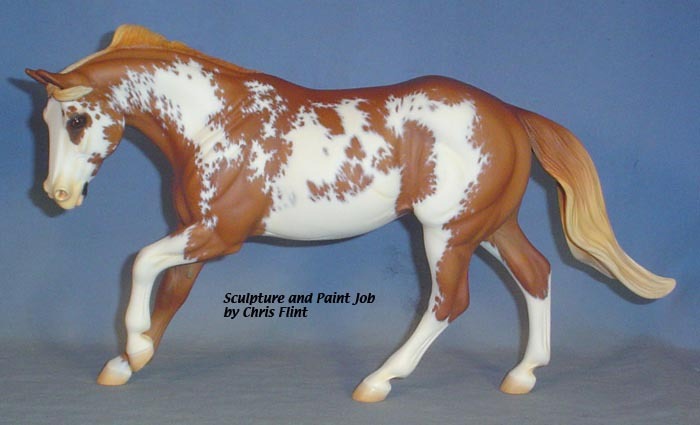 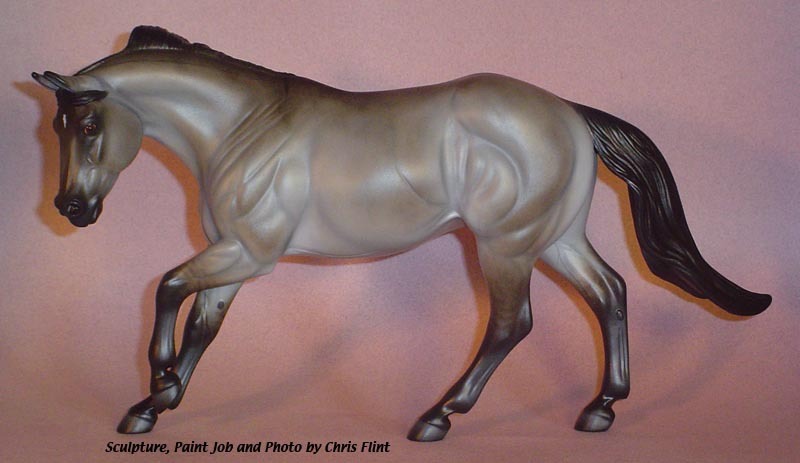 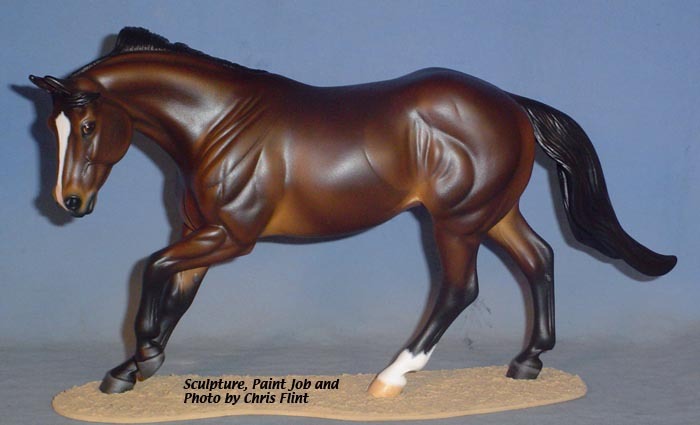 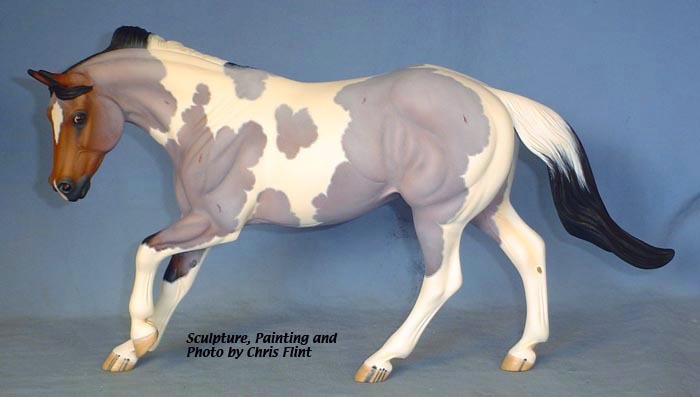 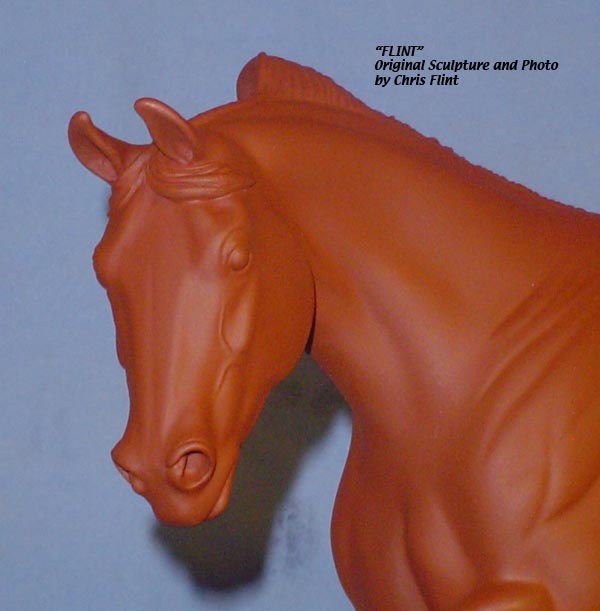 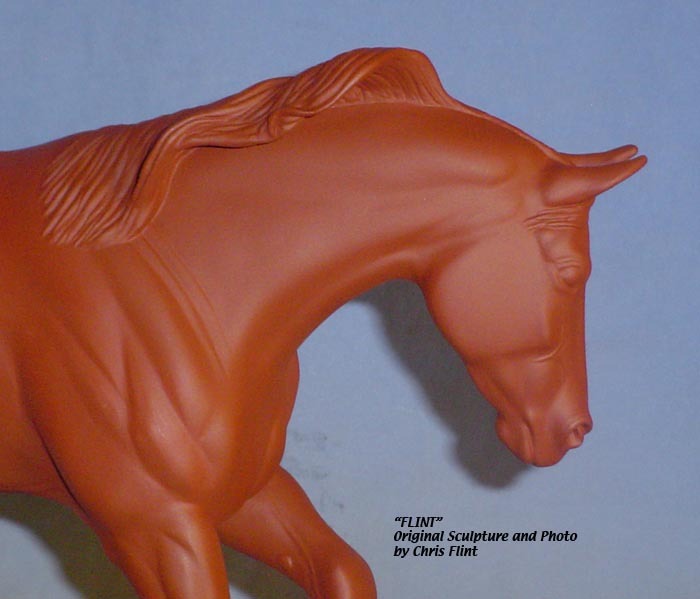 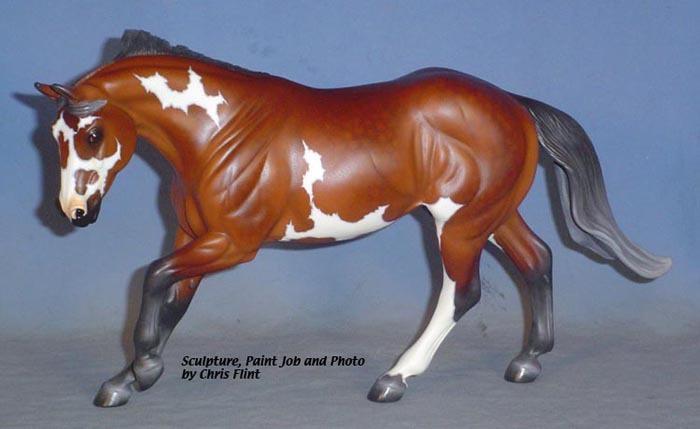 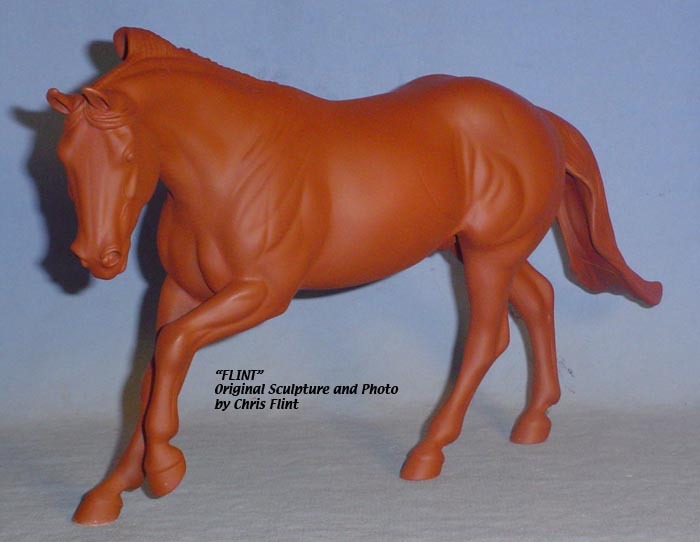 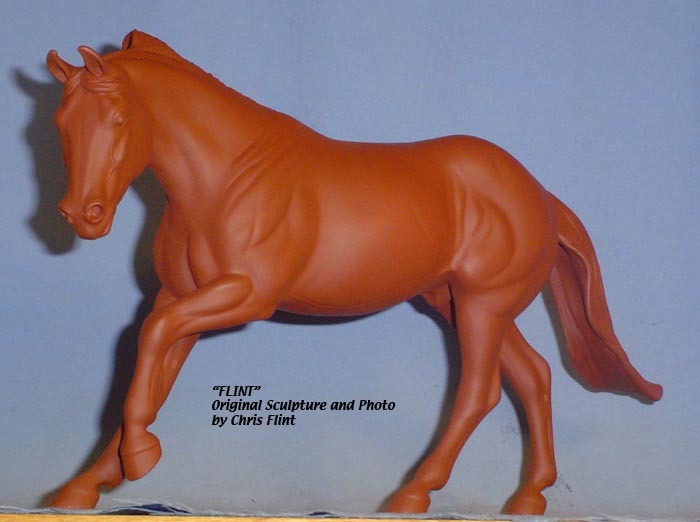 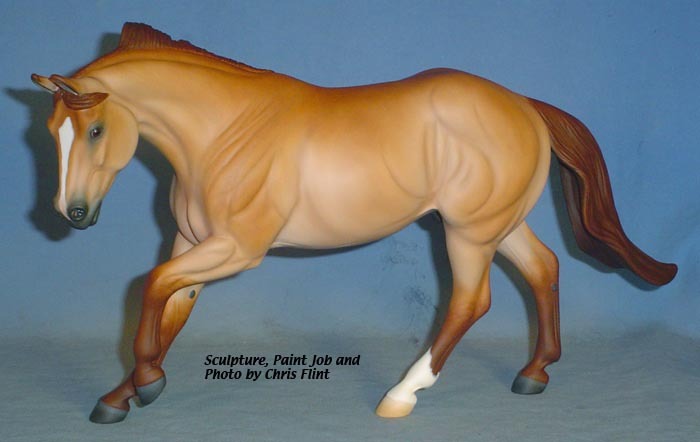 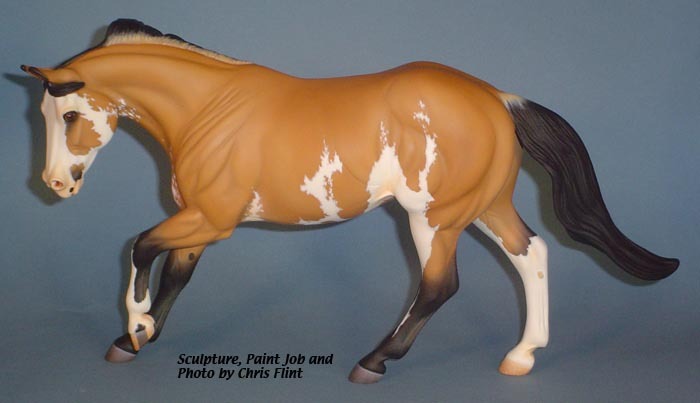 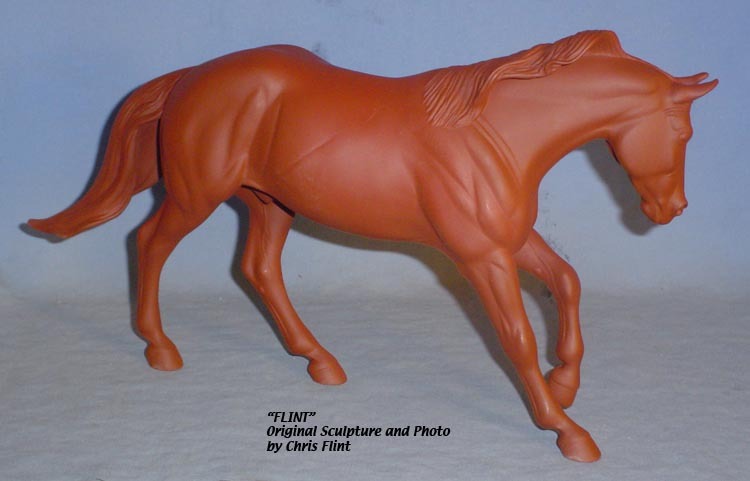 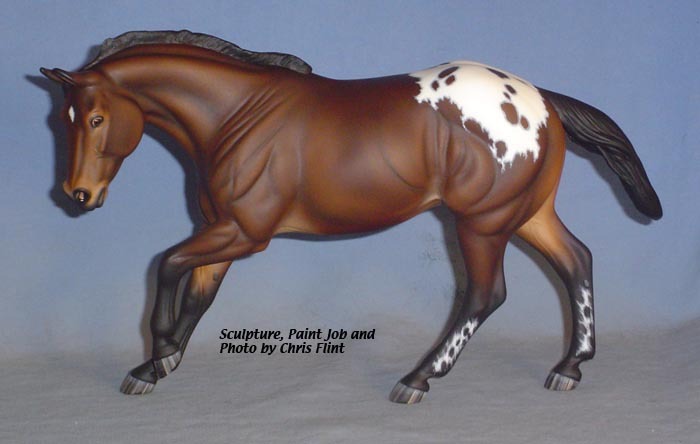 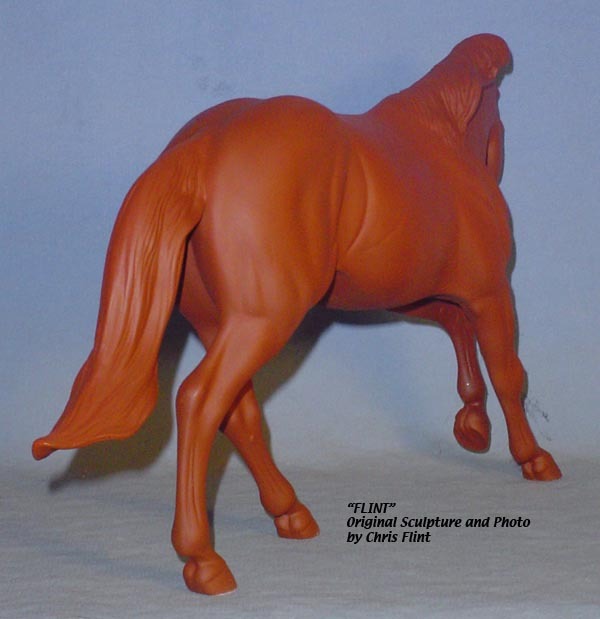 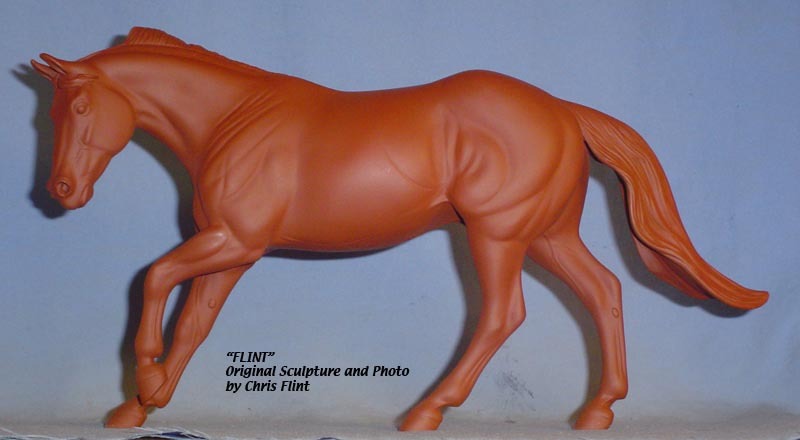 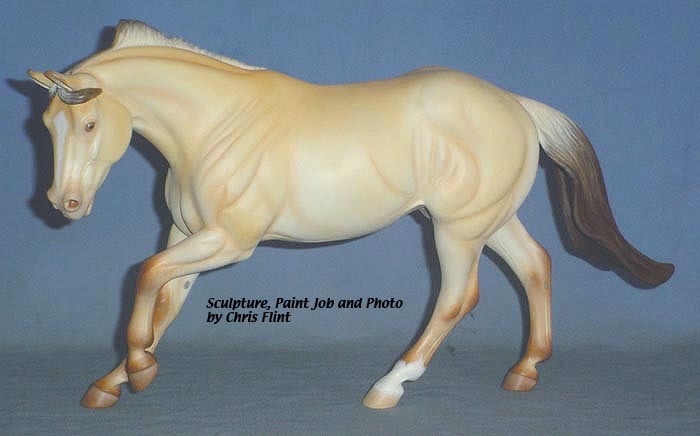 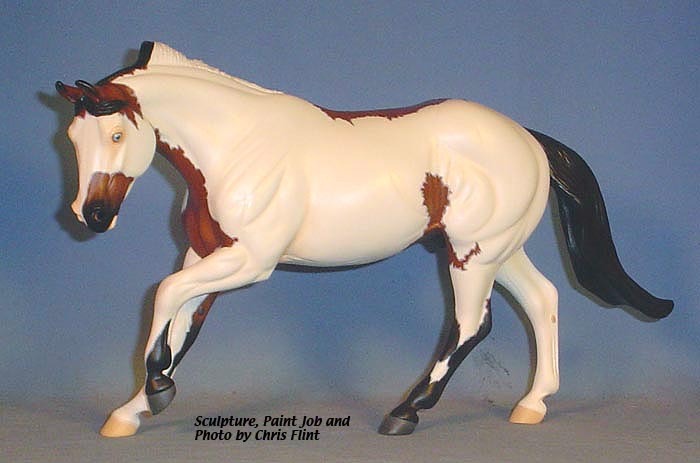 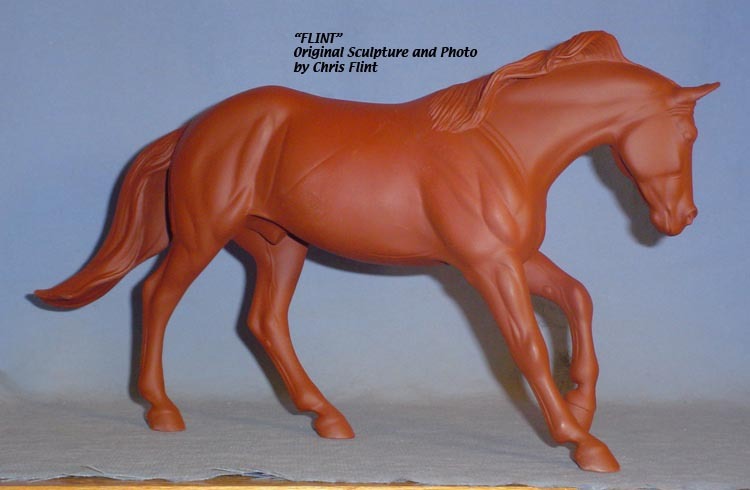 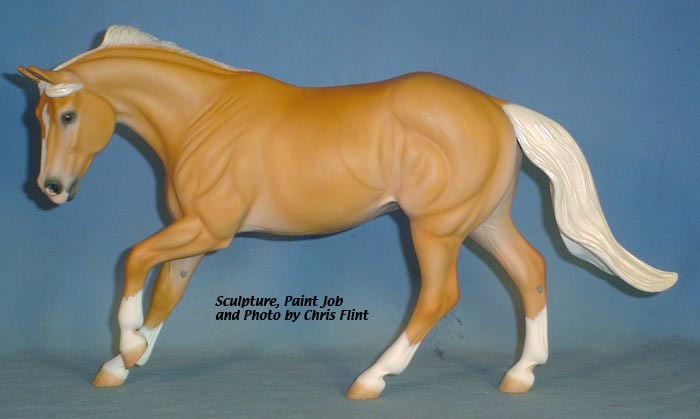 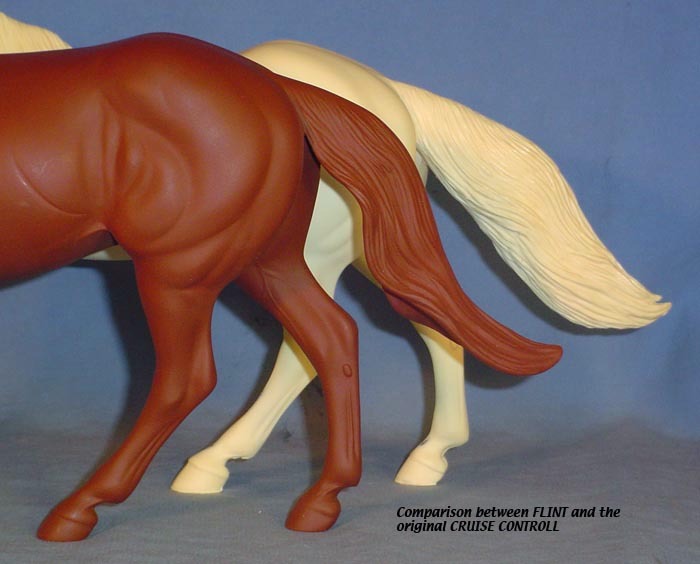 He has a brand-new head, ears, mane and tail, shorter back and his entire body and legs have been re-muscled, refined and detailed. 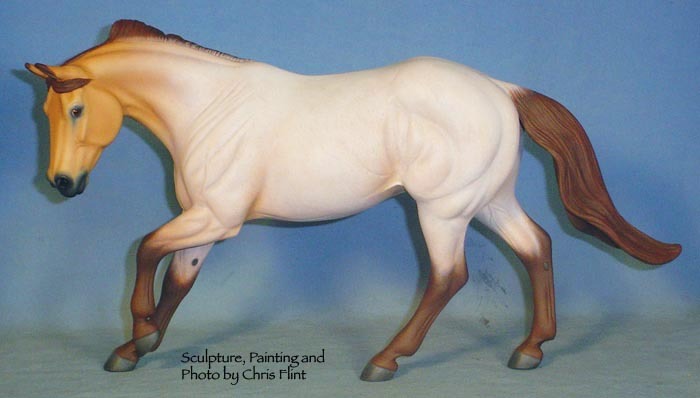 He measures approximately 6-3/8 inches at the ear tips, 7-1/4 inches at the highest point of the mane, 6-3/4 inches at the withers and is 13 inches long. 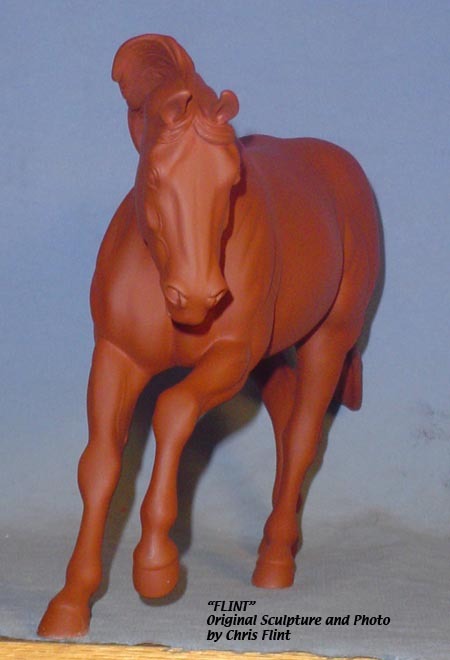 Because he is a stock horse, he looks wonderful in any color you choose! 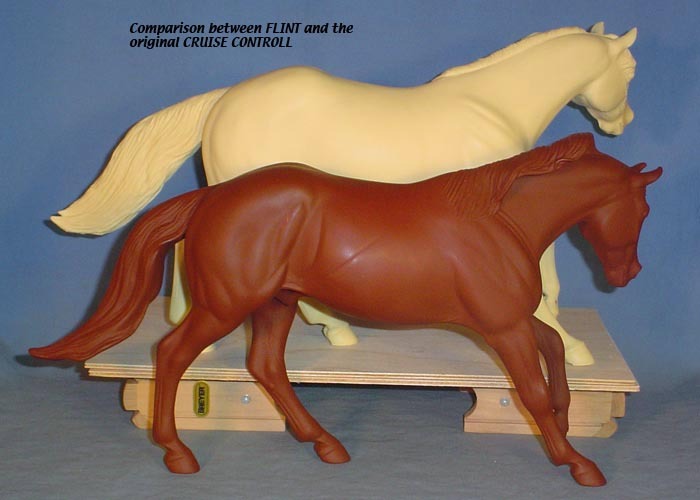 Here are comparison photos of FLINT with the original CRUISE CONTROLL. 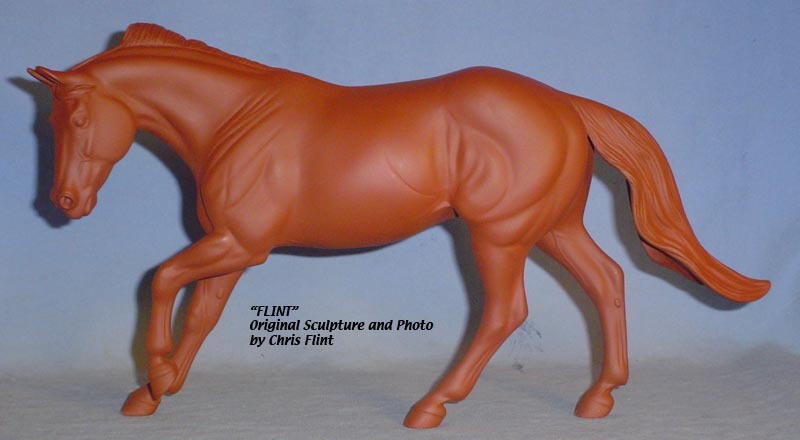 FLINT is produced by Mountain View Casting Service and is hollow-cast with steel reinforced legs for painting ease and durability. 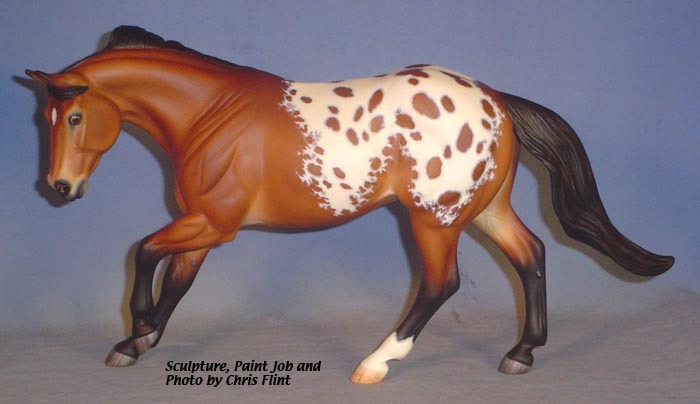 Castings Shipping outside of the U.S.A.
You can also mail your payment to: BEAU CHEVEAUX CREATIONS - 17200 Melodie Lane - Choctaw, OK 73020. 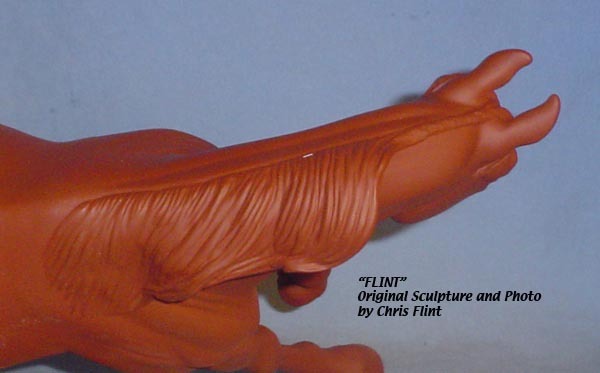 Please make payments out to Chris Flint. 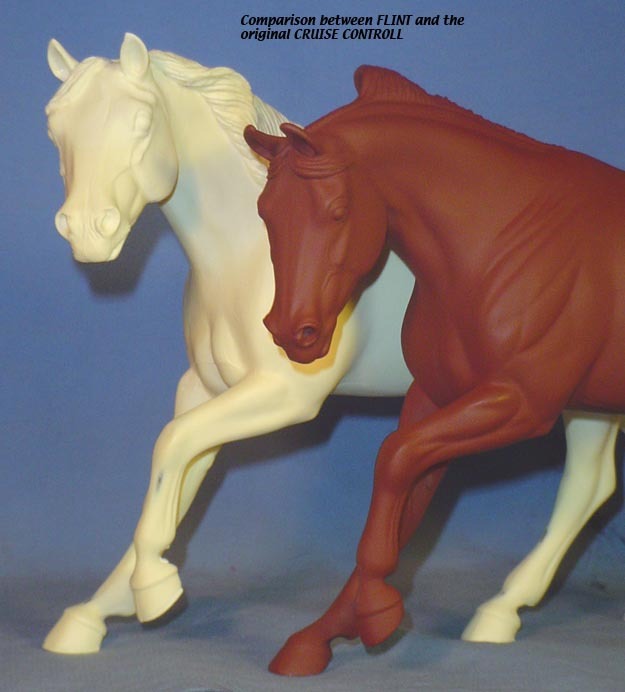 Payments made by Money Order will ship immediately. 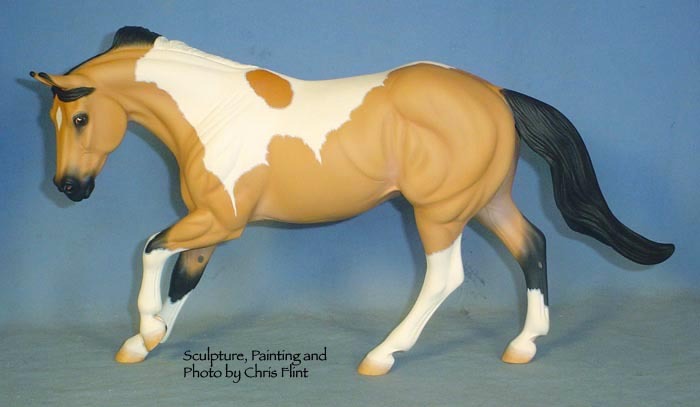 Personal Checks will be held 2 - 3 weeks until payment has cleared before shipping. 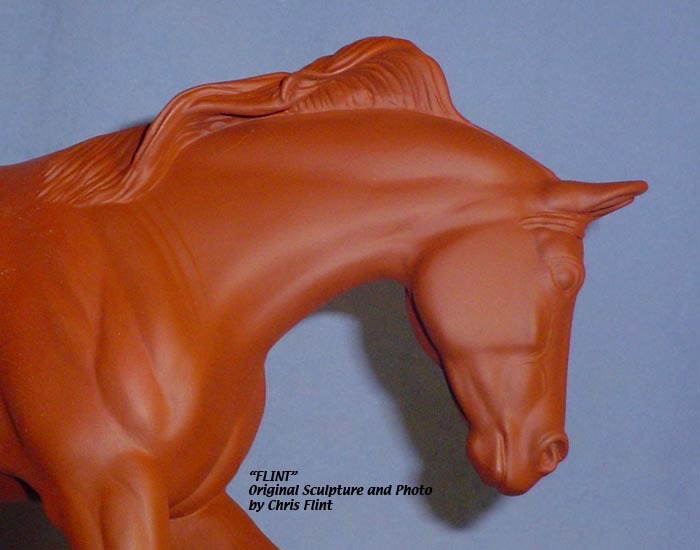 Edition size will be at least one mold run of aproximately 50 pieces. 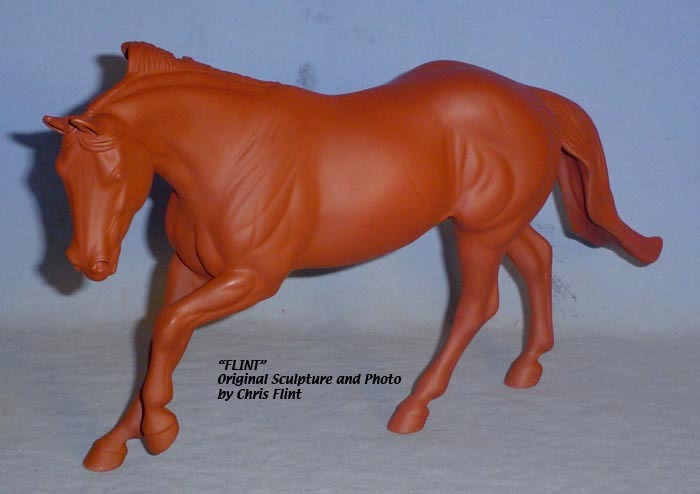 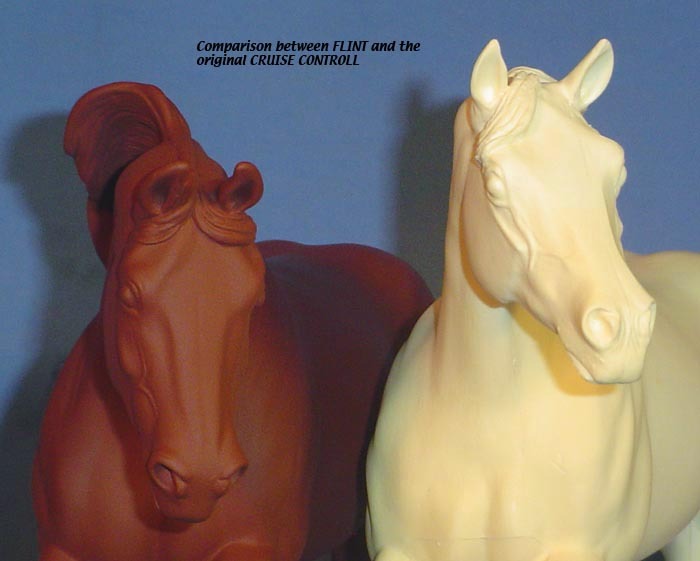 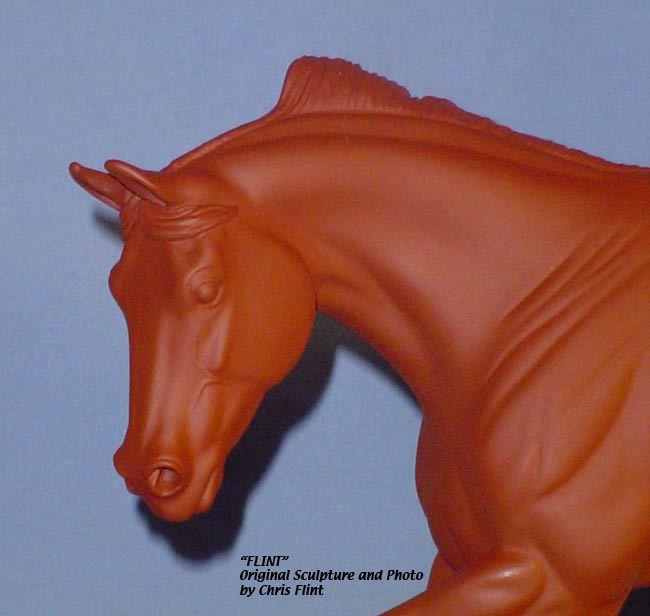 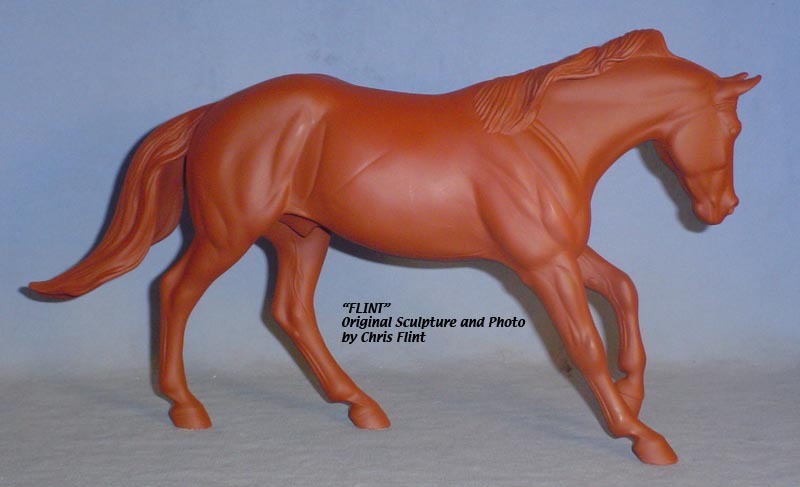 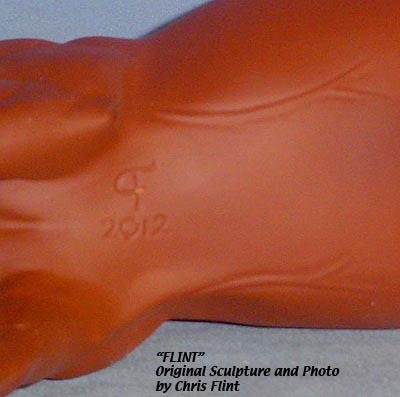 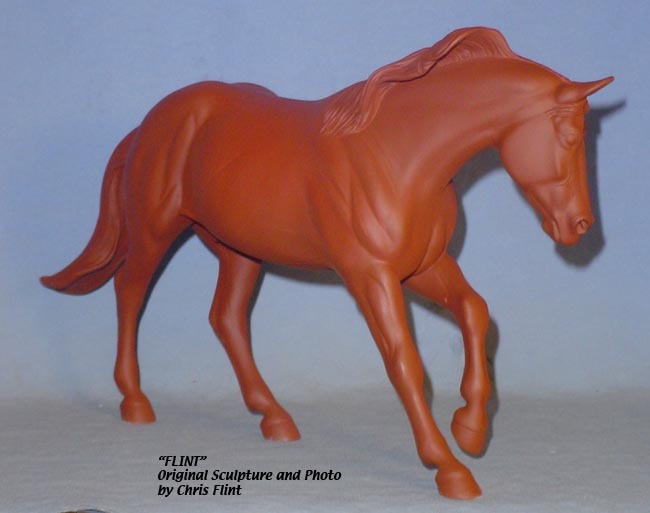 Feel free to customize your FLINT in any manner you wish so long as you do not mold and cast any resulting piece. 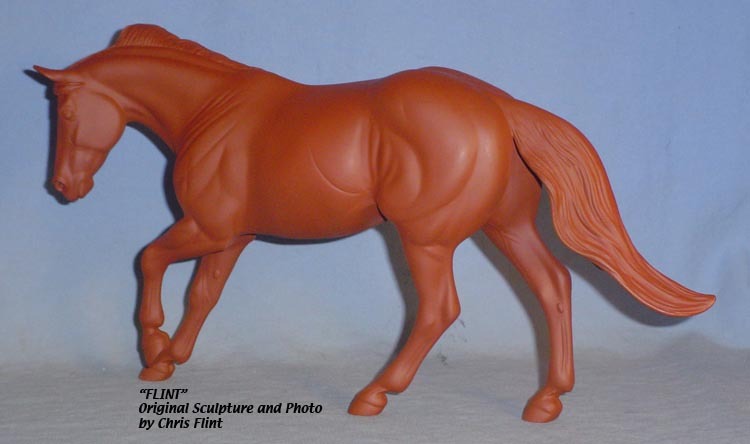 ** Shipping within the Continental U.S.. Outside of this area will be slightly higher. 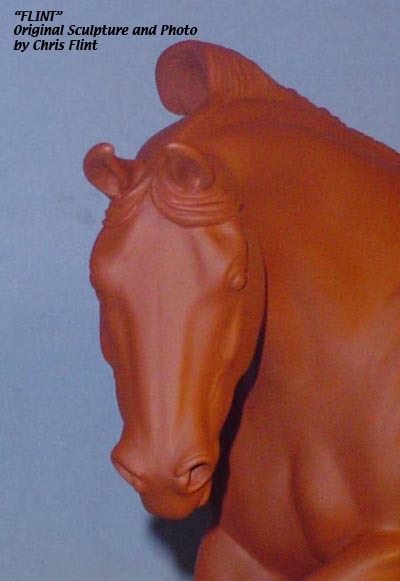 Please inquire for quote. 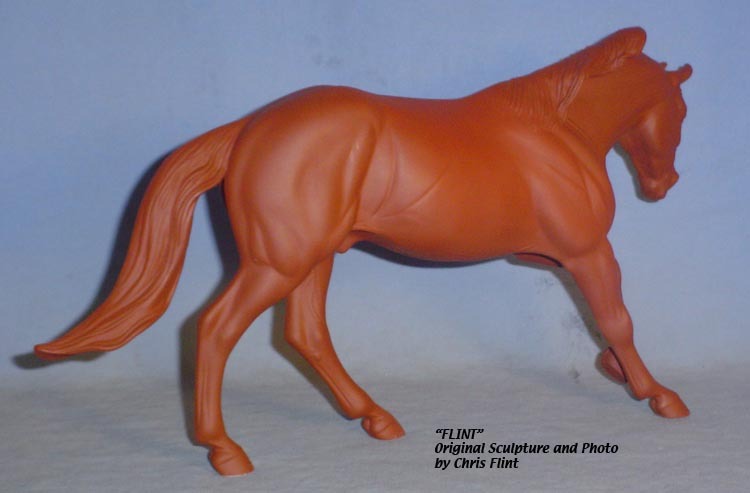 *** Time Payments are NON-REFUNDABLE and are due on the same day each month. 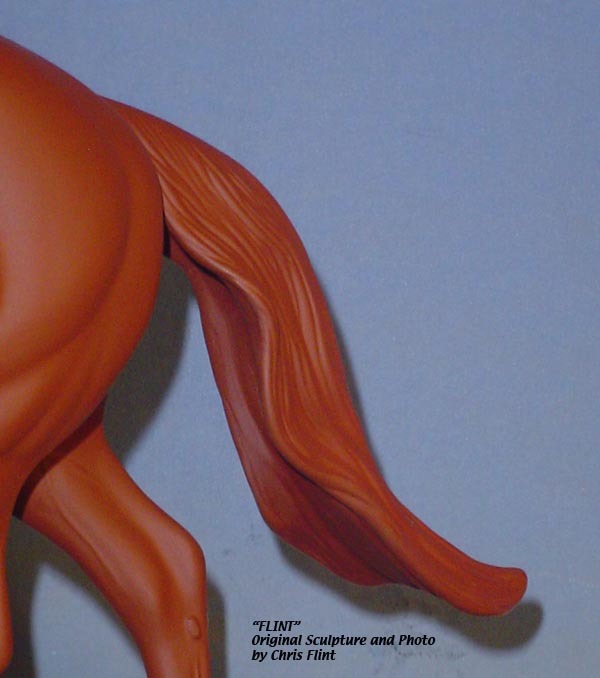 Payments not received within 10 days of the due date will result in cancellation of your order with NO REFUNDS. 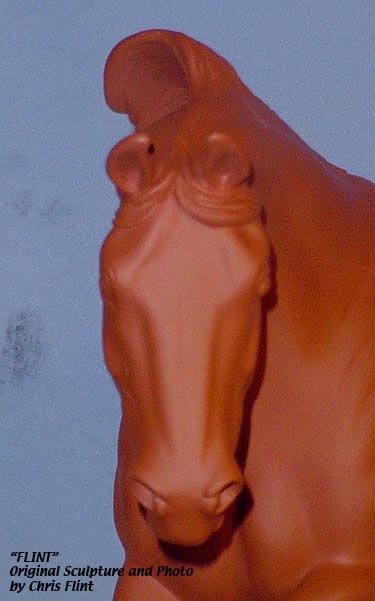 Item may be paid off early at any time. 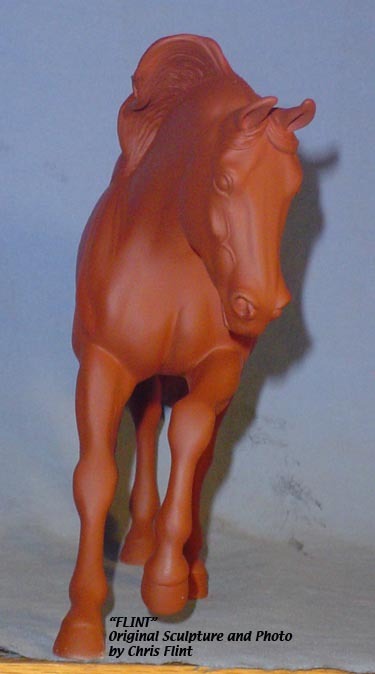 There are no additional fees or charges for this item! 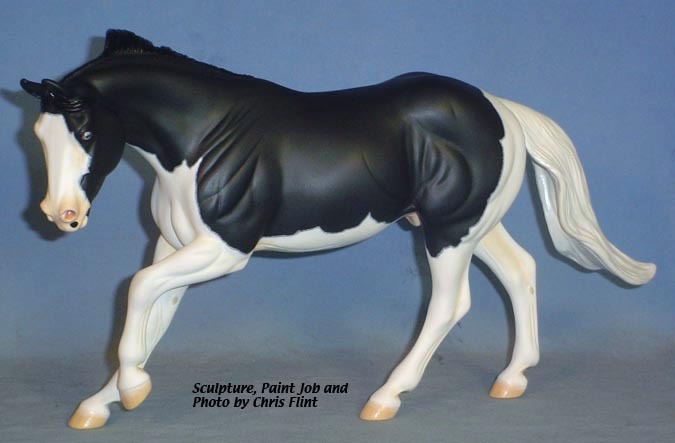 NO Time Payments on paint jobs.